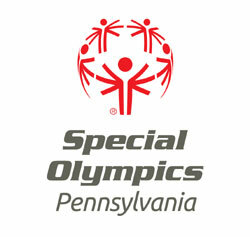 Bucks County Athlete, Kevin Grow, Shoots and Scores! 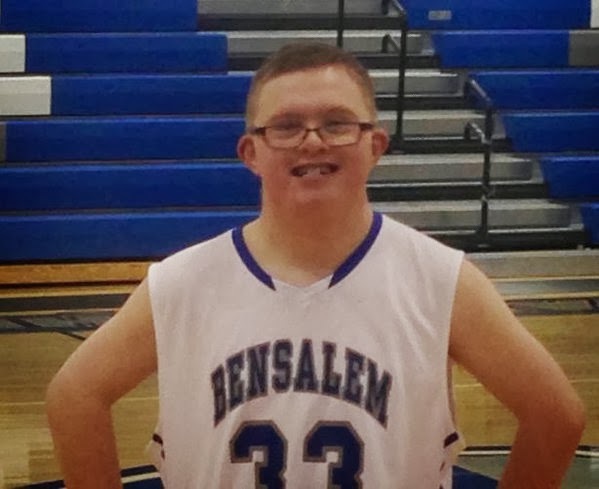 Kevin Grow, a Special Olympics PA – Bucks County athlete, was recently featured on Channel 6 ABC News, ESPN and in the Philadelphia Inquirer for his star performance on the basketball court as a part of the Bensalem High school Owls. Grow, who had served as manager for the basketball team for four years, was given an opportunity to play in two games that showed the world through, social media, that he could hit foul shots, sink fast break layups, shoot three pointers and steal the hearts of many. Click here to read the Inquirer article and view video of his performance below. Lebanon County Volunteers Receive Awards! John Monk recently received an award from the YMCA for Social Responsibility. He is a Lebanon County powerlifting coach and is pictured above at the center with a few Lebanon powerlifting athletes. Rebecca Curran recently received a YMCA Youth Award for working with special needs students within her high school and with Special Olympics. Her teacher nominated her for this special honor. Michelle Voydik received an award in December from the Lebanon County Council for Human Services (LEBCOSO) for her work with Special Olympics and within her community. Michelle was nominated because she is a Lebanon County volunteer coordinator, coach and mentor. Michelle is pictured above on the left with LEBCOSO President Gwen Ward.